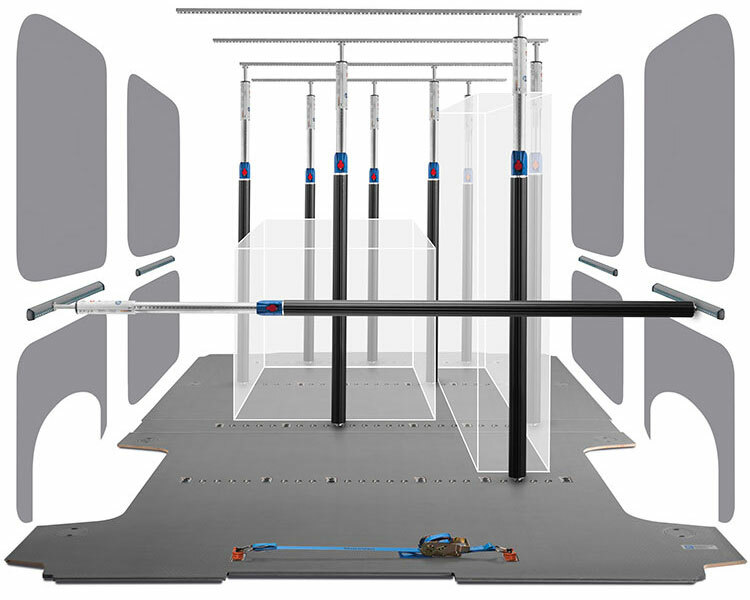 Ducato van equipments with flooring, interior coverings and shelving for total load security. 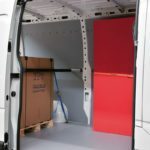 Our Store Van interior solutions for Fiat Ducato vans are perfect for protecting the bodywork in the cargo area from wear and rust and for maximising the space with storage systems. 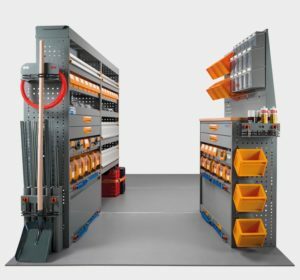 For instance, our van shelving and drawer units help keep the material and equipment you use – or don’t use – everyday organised, especially the extra-large ones. Our interior coverings and flooring for Fiat Ducato vans are the best way to protect the bodywork of your van but also function as the foundation for securing the interior equipment. 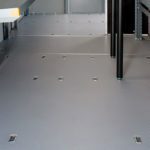 Our StoreVan flooring also lets you safely transport fragile and oversize items with a system of restraint bars and securing straps. 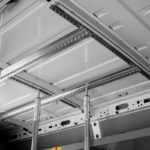 What’s more, by using “Airline” rails on your van’s ceiling or side walls, you will be able to create complete horizontal and vertical securing systems. This solution offers a flexible and safe way to secure the cargo, in compliance with directive 2014/47/EU for the highest quality standards. Choose Store Van equipment to convert your Ducato van into a mobile workshop. 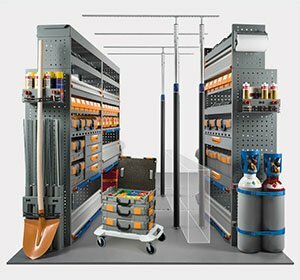 Our modular shelving is made from galvannealed sheet steel, a variant of hot-dip galvanised sheet steel. 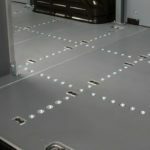 As well as the hot-dip galvanisation process, the product is heated to a temperature of about 550°C, bonding the zinc to the surface of the sheet and alloying it with the steel. The result obtained is a uniform galvanised layer with fine crystalline structure, together with a much better surface quality and resistance to corrosion. This process is ideal for automotive applications. 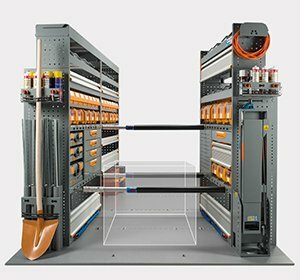 Store Van has now introduced and adopted this technology for its van equipment. Contact us to get your free quote on a Fiat Ducato van fittings.